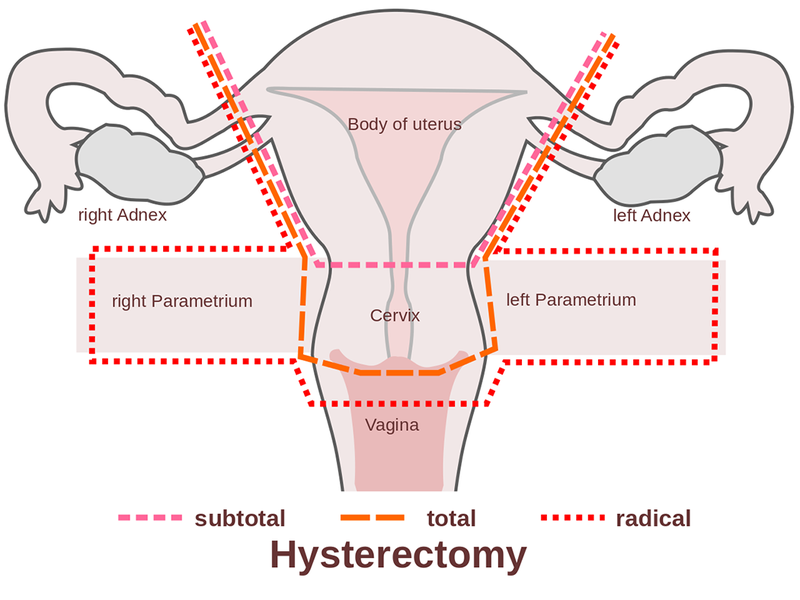 A hysterectomy is a surgical procedure during which a gynecologist removes a woman’s uterus. In some cases, only part of the uterus is removed, whereas in others, the cervix, fallopian tubes and/or ovaries may also be removed. There are more than a half million hysterectomies performed in the United States each year, and the majority of those procedures are due to uterine fibroids. Other causes of hysterectomy include endometriosis, uterine cancer and abnormal uterine bleeding. Although hysterectomies are considered relatively safe in comparison to other surgeries, there are risks of complication. Examples include infection, deep vein thrombosis and bowel blockage following intestinal scarring. © Susan Cocoziello. All rights reserved.